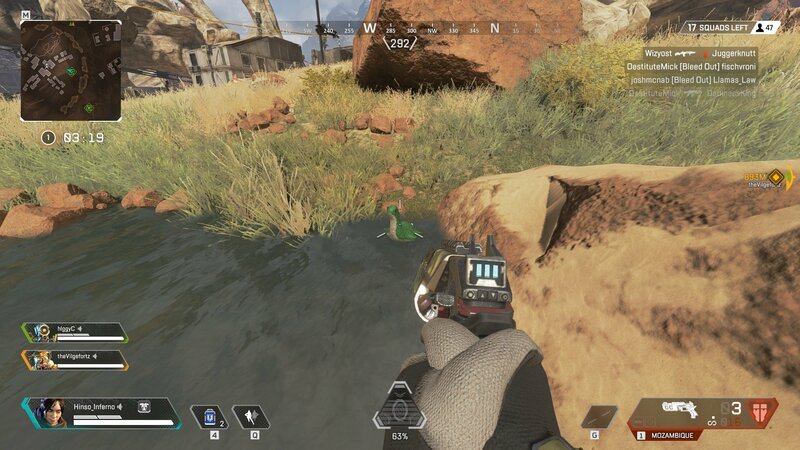 Learn how to complete the Nessy Easter Egg in Apex Legends with our guide to all Nessy Plush locations. Kings Canyon in Apex Legends is more than just a battlefield. In fact, players recently discovered it’s home to a rare and legendary creature, the famous monster Nessy. Sighting are rare, but if you want to see it for yourself then you’ll need to complete the Nessy plush easter egg challenge. Scattered across the map are 10 Nessy plush toy spawns, and shooting them in the correct order will summon Nessy on the edge of the map. 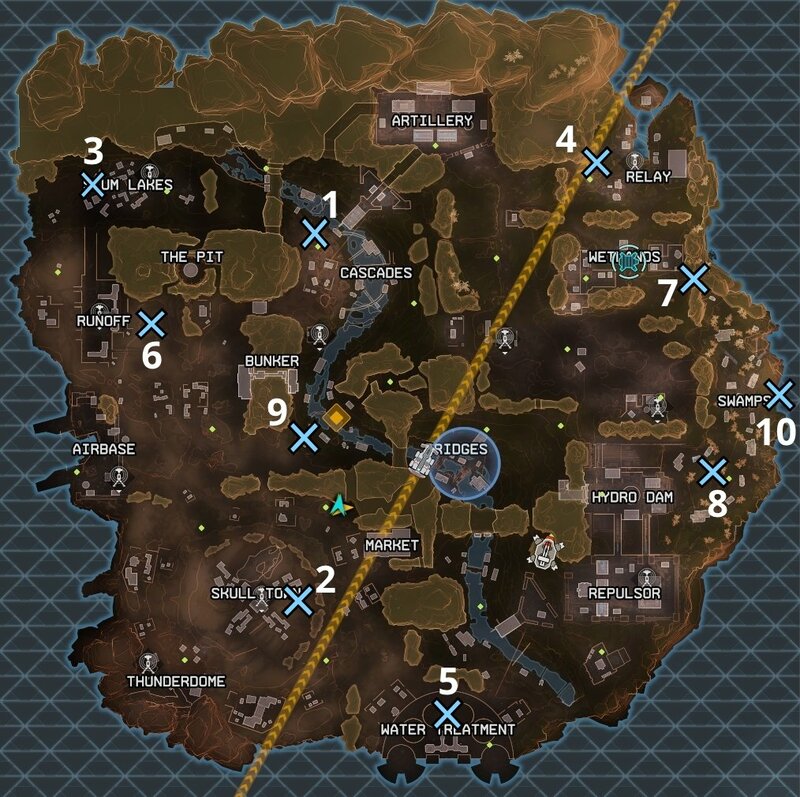 The Nessy locations are spread across the full breadth of the map, which means you’ll need a full team to have a chance of completing this before the ring consumes you (never mind other players), but to help you out we’ve put together a list of each Nessy location below in case you’d like to try it out for yourself. 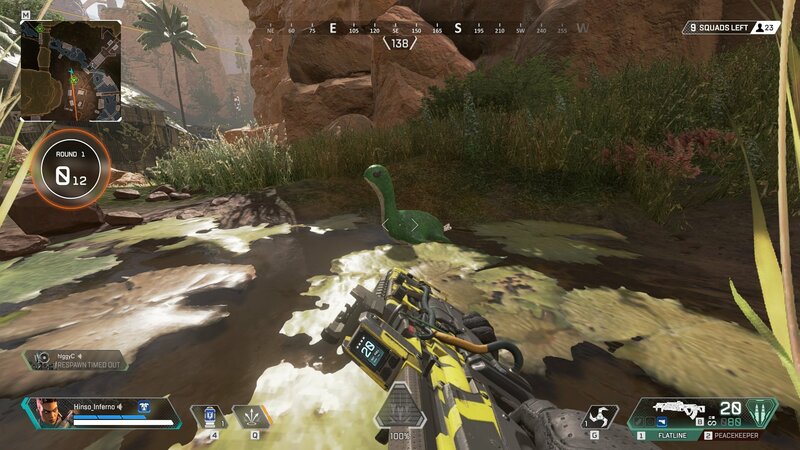 Read on to learn all Nessy Easter Egg locations in Apex Legends. We’ve marked the location of each of the Nessy toys on the map above, but even knowing the general area it can still be tough to find them. The key to this is knowing that the Nessy plush toys are always found in water. Many of them are close to respawn beacons, but you’ll need to find a small patch of water nearby to properly hunt for them. We’ll be adding details and images to each of the locations below as we collect them, so if you’re struggling to find one, take a look at the picture for guidance. If you want to complete the easter egg you’ll need to split your squad into three groups. 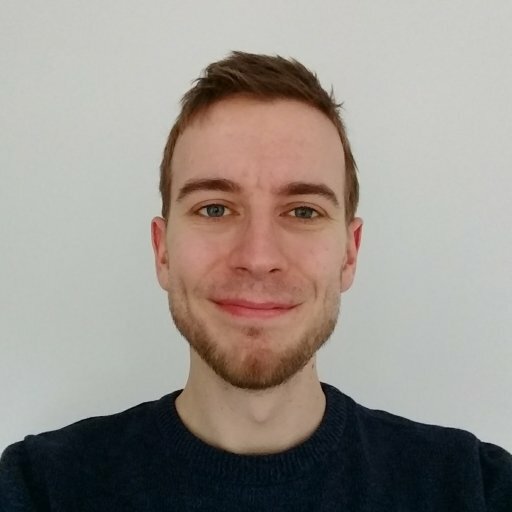 We recommend having one player hit numbers 1, 3, 6 and 9, another player to track down 4, 7, 8 and 10, and the final player to hit 2 and 5 then support whoever needs it. 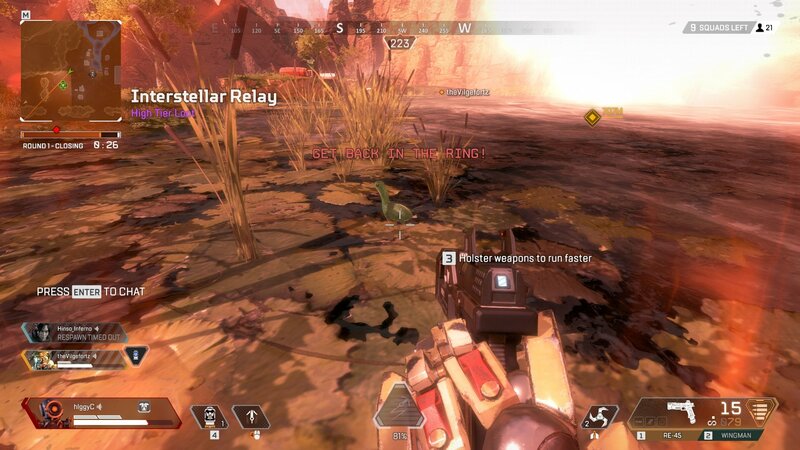 It’s also worth pointing out that you cannot melee the Nessy toys, they must be shot. The next Nessy in the order won’t appear until you shoot the one before it, meaning you must complete them in order. Nessie 1: Cascades - North of the Respawn Beacon. Nessy 2: Skull Town - East edge of the water with the Respawn Beacon. Nessy 3: Slum Lakes - In the northwest corner of the town, in the river under the main pipeline. Nessy 4: Relay - Northwest of the area, in the pool under the waterfall. Nessy 5: Water Treatment - In the second water circle from the left (the northwest one on the map), at the southeast edge. 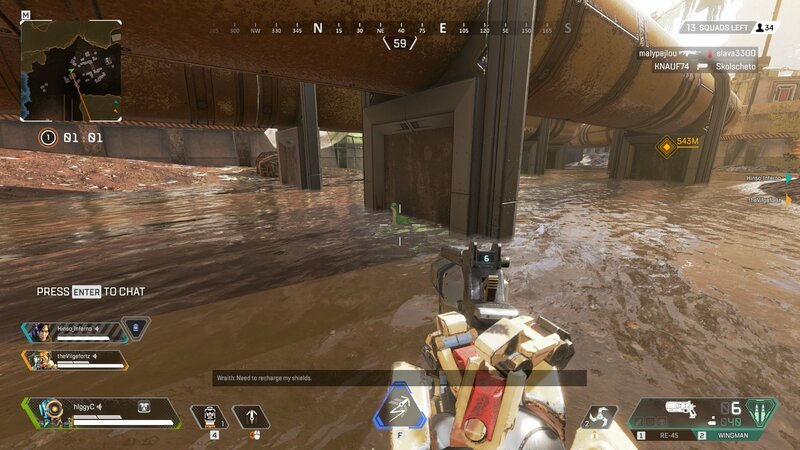 Nessy 6: Runoff - East of the complex, just south of the Respawn Beacon. Nessy 7: Wetlands - Southeast, on the map edge path to Swamps. The plush is hidden at the base of a waterfall found along the path. Nessy 8: Swamps - Southwest region, inside a sunken house. Nessy 9: Bunker - South of the bunker itself, southwest of a bend in the vier. The Nessy plush is in a pool of water under a house raised on stilts. Nessy 10: Swamps - Next to a rock at the edge of the map. Nessy spawns in the water next to this location. You’ll see the message “A Nessy Surfaces” in the top right. Turns out the Loch Ness Monster wasn’t in Loch Ness after all, but on another planet! Who’d have thought, eh? Then again, the one in Scotland is commonly referred to as Nessie, not Nessy, so this must be a distant cousin. Now that you've learned all the Nessy Easter Egg locations, be sure to take a look at the rest of our Apex Legends guides. We can teach you how to master Lifeline or Gibraltar, as well as how to level up quickly.